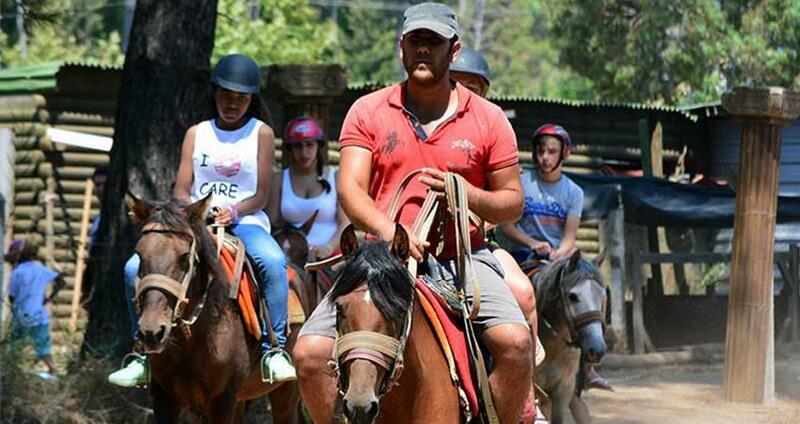 Turunc Horse Safari Tour is an escape from the daily routine of your holiday. Join us today and explore the natural beauties of Turkey. 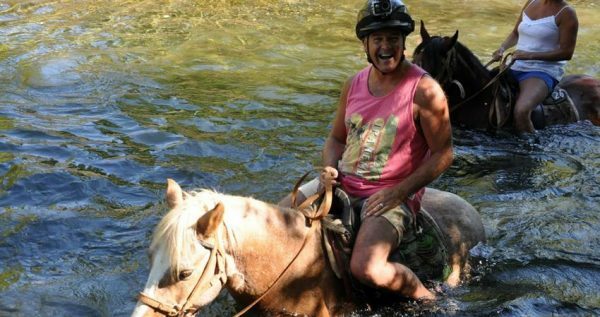 Turunc Horse Safari Tour starts with a complementary pick-up from your hotel in Turunc, followed by a comfortable short drive to Marmaris. This tour is a great opportunity for you to get familiar with the country you chose to spend your vacation in, and have some fun while you learn as well. You don’t have to have any experience whatsoever in order to take this tour. 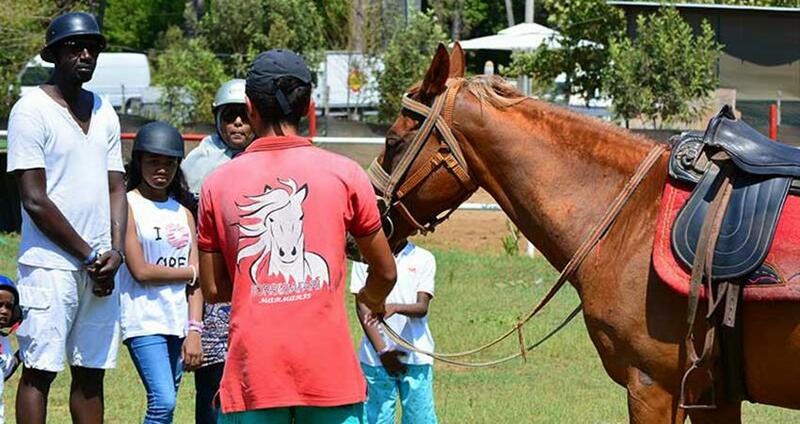 All of the horses are well trained, friendly and well behaved. Your safety is our top priority and that is why we opt to employ only expert staff members, who will provide you with all the necessary help, instructions and answer all of your questions. We want you to feel secure and relaxed. 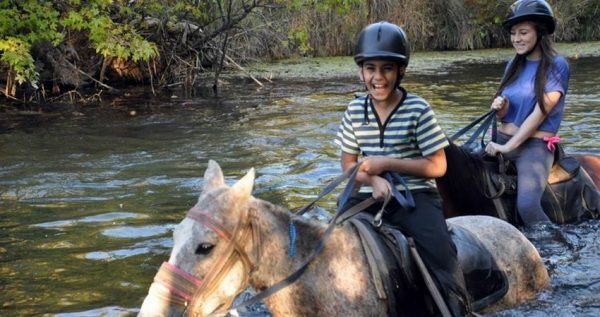 Children above the age of eight can also ride horses, but with the participation and with the permission of their parents. 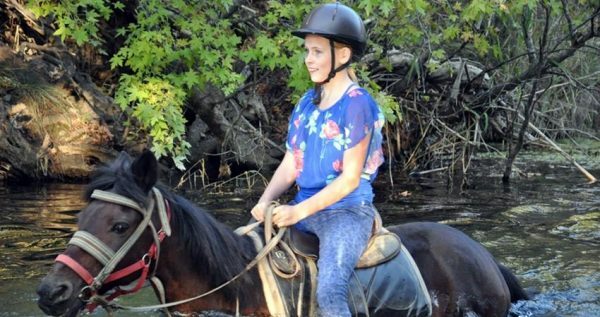 If however children aged over eight, they can be allowed to ride horses on their own. Untouched and captivating natural sceneries, as well as the village areas of Marmaris are well known for their mesmerizing emerald pine forests and gorgeous riverbeds, so you will also be able to rest your eyes on some amazing scenery around you. All of our guests who opt for this lovely tour we advise to wear something old. Choose some dingy old shoes, or you can rent a pair at the ranch as well. If your family and friends who want to come with you but do not want to ride horses, they are welcome to spend some relaxing time, sipping coffee and enjoying the scenery at the ranch. Once our tour is over, our driver will take to Marmaris bus station where you can catch a dolmus back to Turunc. Make this vacation the best you’ve ever had by taking this amazing and unforgettable tour with us. Turunc Jeep Safari Tour can be also interesting for you. 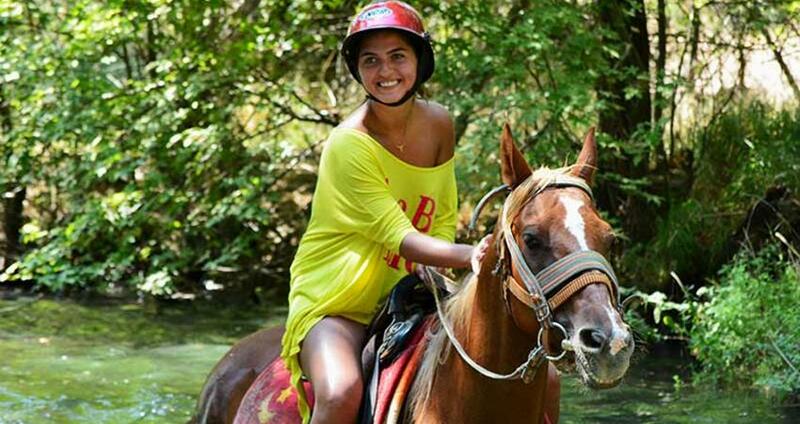 We will start our Horse Safari with a complementary transfer from your hotel in Turunc. 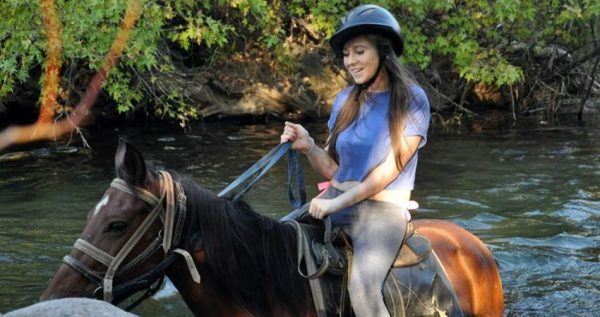 Our comfy vehicle will take you to the horse ranch located on the outskirts of the town. 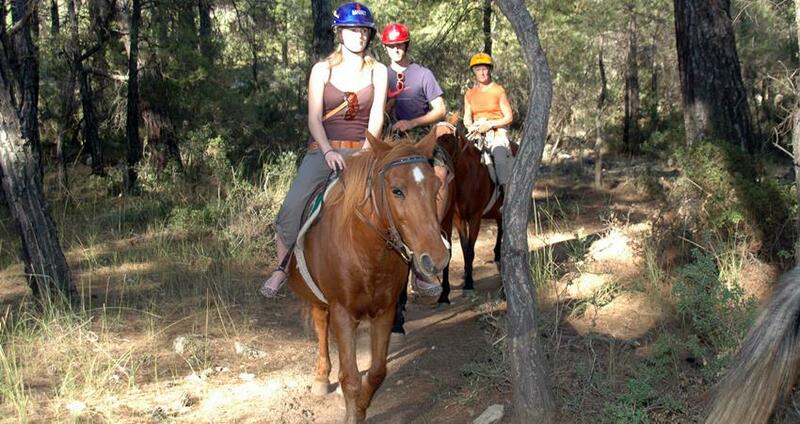 Once we get to the ranch, you will be greeted by our skilled horseback riders and guides. They will give you some basic details and necessary instruction about the upcoming Safari. All of the horses at the ranch are comfortable with people and used to their attention. They are all well trained, obedient and friendly animals. 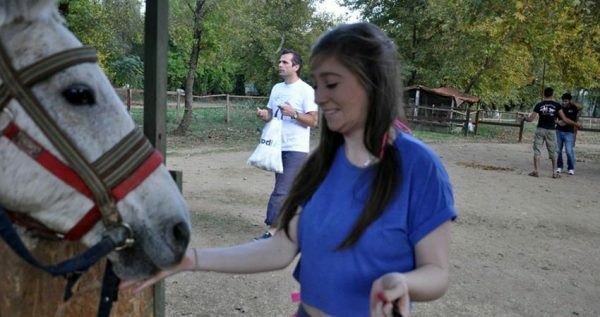 Horses are very calm. good-natured and noble animals. Once you get more familiar with these wonderful creatures, you will get choose your own horse for the tour. 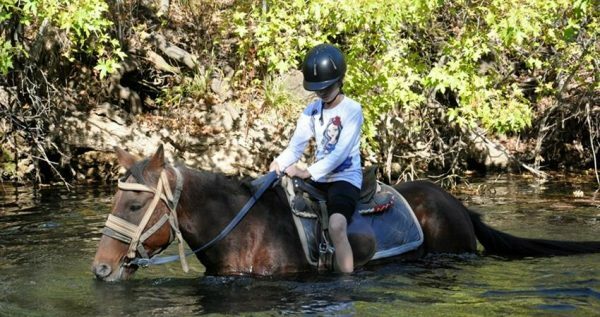 Once you are done preparing, and you have gotten to know your horse better, our ride through the nature can start. You will get to ride through forests, meadows and riverbeds of this truly gorgeous part of the world. Our instructors will always be nearby, because your safety is our top concern. Your friends and family can come as well. 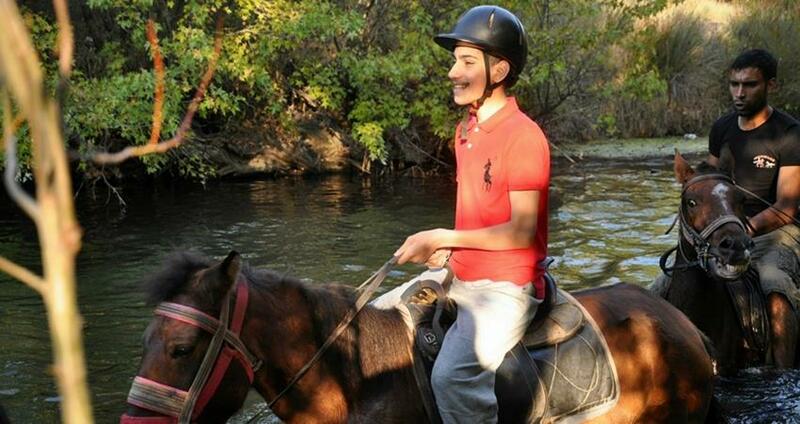 If they don’t want to ride horses, they are free to stay on the ranch and enjoy the lovely scenery. This adventure is a fantastic experience, and you will probably want to have some souvenirs from it. 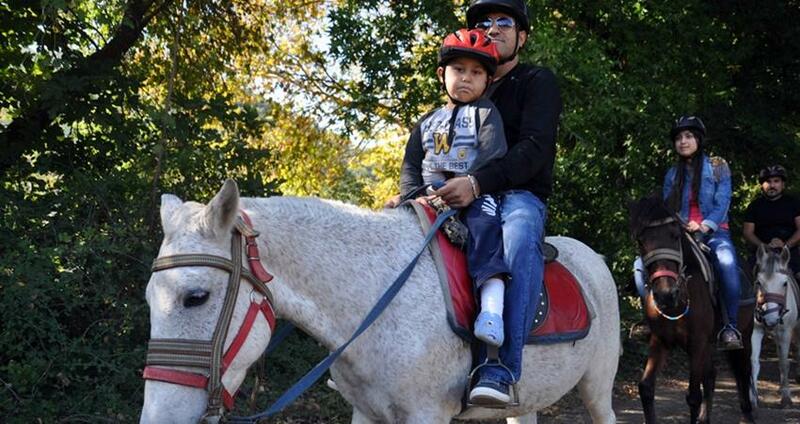 Since you will be too busy with riding your horse, our professional photographer will take pictures and videos. Once the tour is over, you will get the chance to pick your favorite pics and videos and buy them. Once our wonderful escapade ends, our driver will take you back to the bus station, where you can catch the next dolmus back to Turunc.